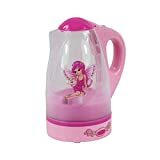 Another Great Addition To Our Brilliant Morphy Richards Range. 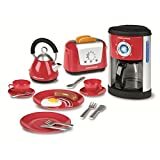 The Electronic Microwave Has a Ping Sound And Realistic Looking Touch Pad With For Cooking Role Play Fun. 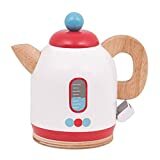 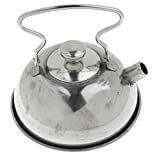 The Kettle Has A Water-Fill Gauge Whilst The Toaster Pops Up When The Toast (Included) Is Ready. 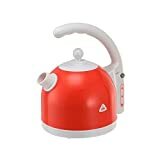 In Vibrant Red With The Iconic Morphy Richards Logo. 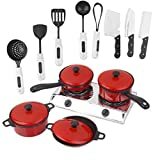 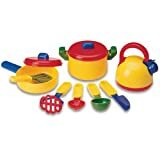 This Set Of Three Let's Pretend Kitchen Appliances Will Be Sure To Be A Hit With Little Cooks In The Kitchen. 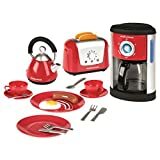 Morphy Richards Toy Kitchen Play Set - Kettle - Toaster - Coffee Maker - Cutlery, Crockery & Food! 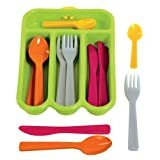 An extensive range of colourful crockery, cutlery and play food!